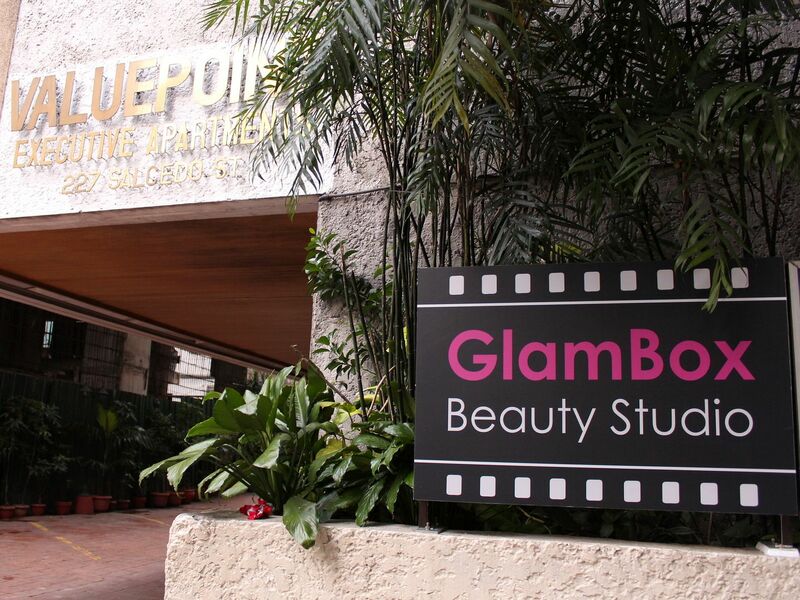 A couple of days ago, I was invited by Ms. Valerie Tan of Glambox Cosmetics to attend the opening of their studio in Makati and the launching of their airbrush looks inspired by the Spring/Summer makeup in the 2013 runways. Their studio's ambiance is very cozy and welcoming. 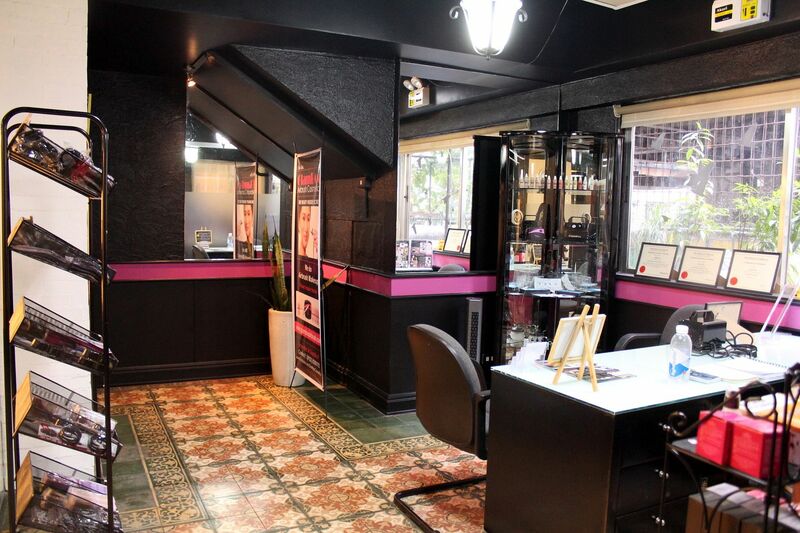 Makeup sessions are held here in their chic studio. 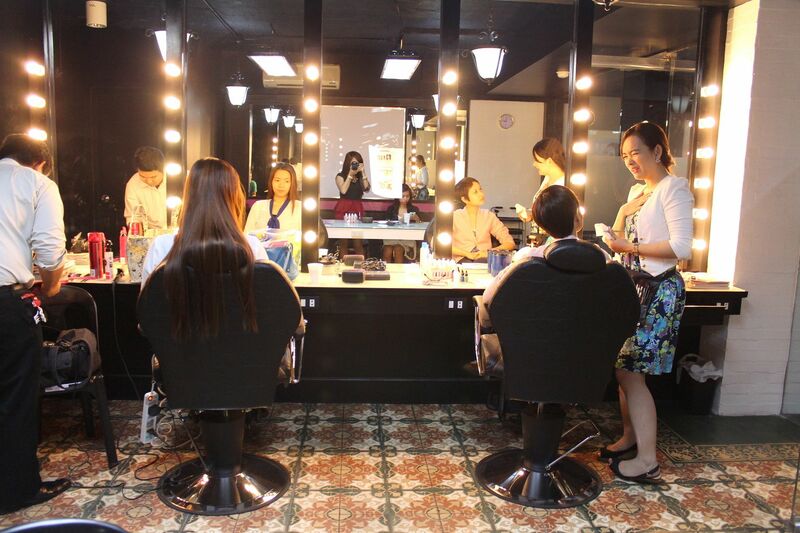 However, Ms. Val said that if you are a pro-makeup artist and wish to hold make-up seminars or a venue for a make-up session, you may rent their studio,too. How cool! Other bloggers were invited to the event, too. It was so nice to see familiar faces in the event. There were 3 batches for the make-up makeover. I chose the 2nd batch. 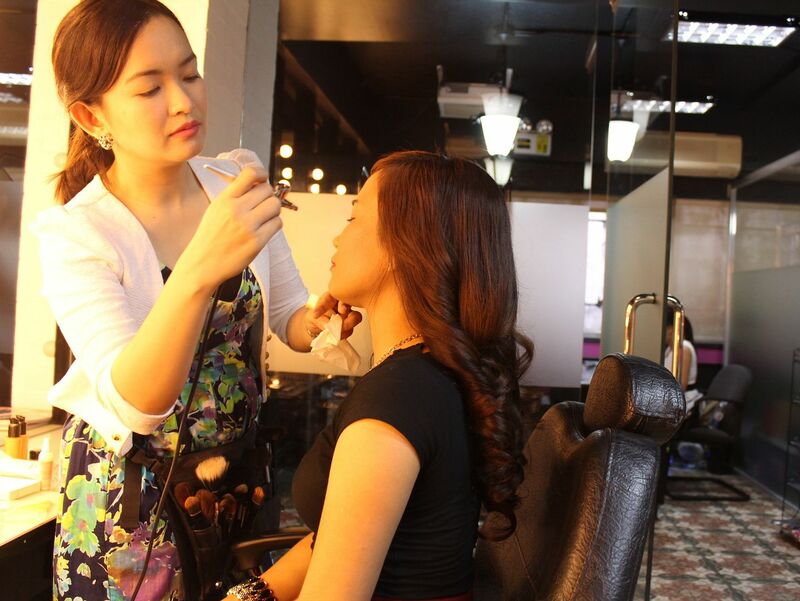 When I arrived the studio, batch 1 bloggers were already being prettified by their make-up artist. 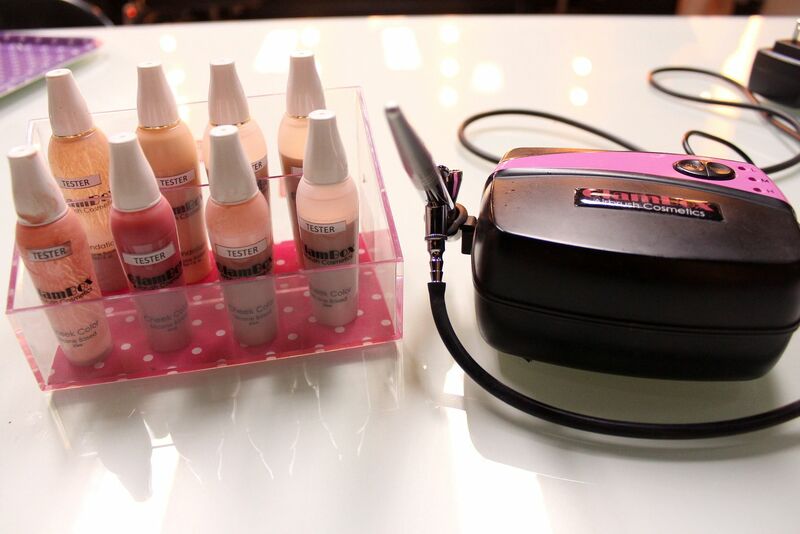 Meet the star of the event, the Glambox Airbrush set. 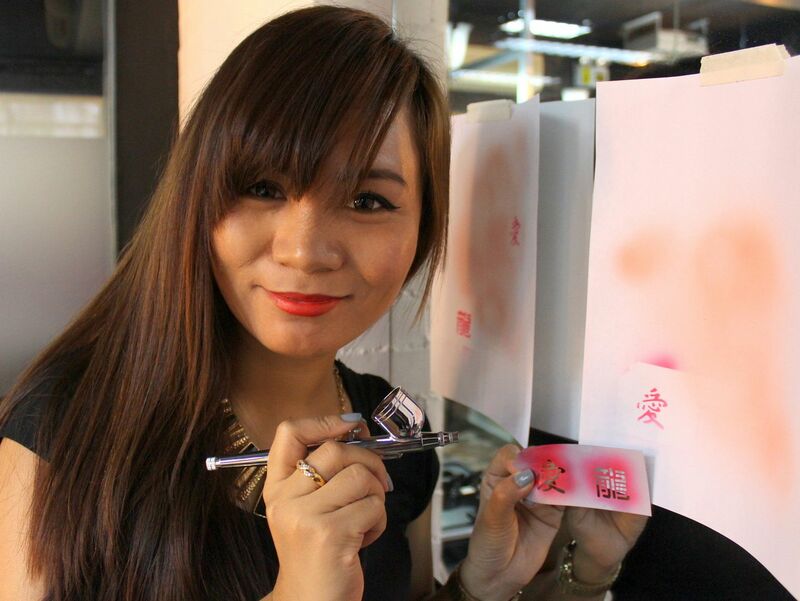 Ms. Val showed us how to use the airbrush properly. Now it's our turn to try it! Ms. Val was so patient in teaching us how to spray the foundation evenly. 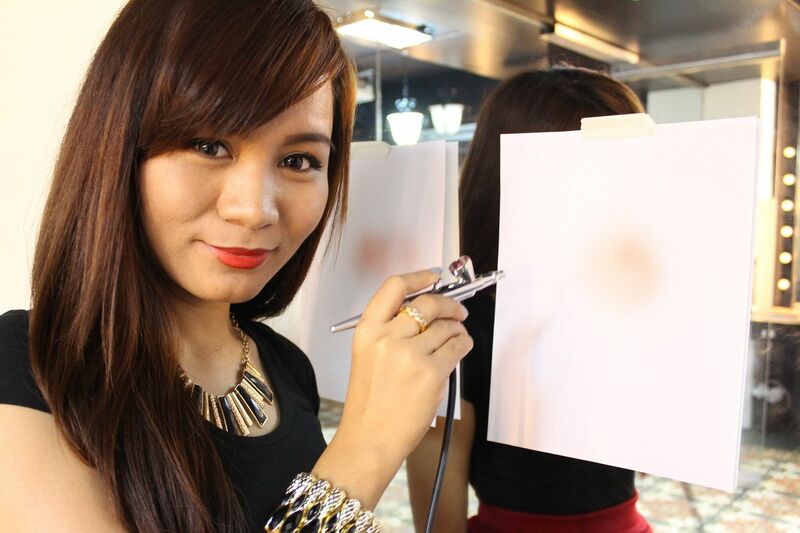 It takes time to get used to airbrush application, but once you master it, you're going to be thankful you learned it! 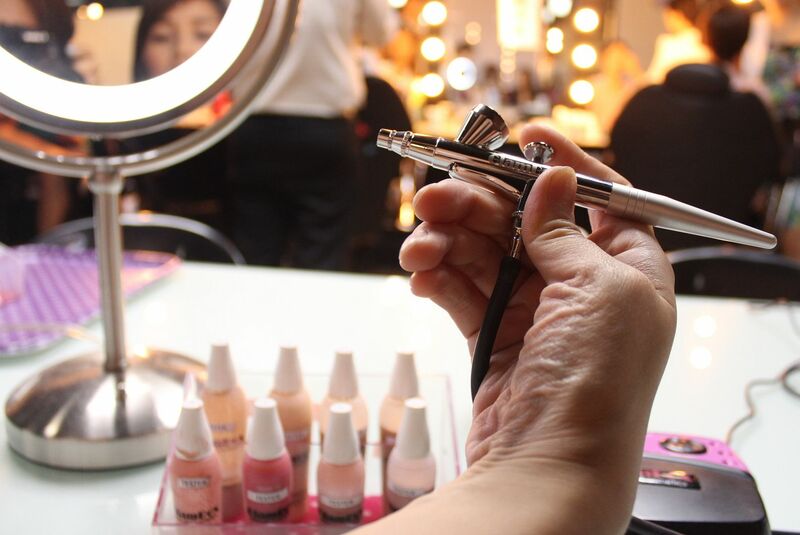 Because airbrush make-up is like the magic in make-up and the pen in your hand works like the magic wand. 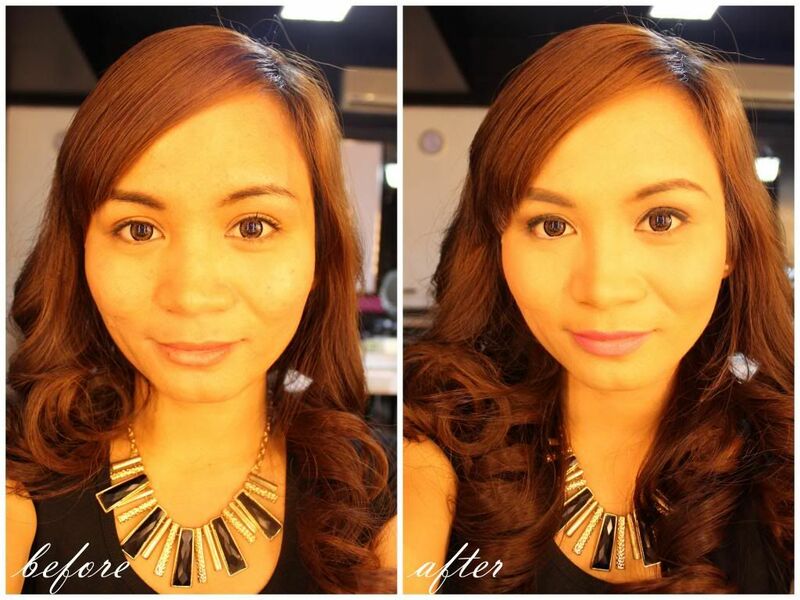 After trying the airbrush myself, it was time for the real thing-the makeover! 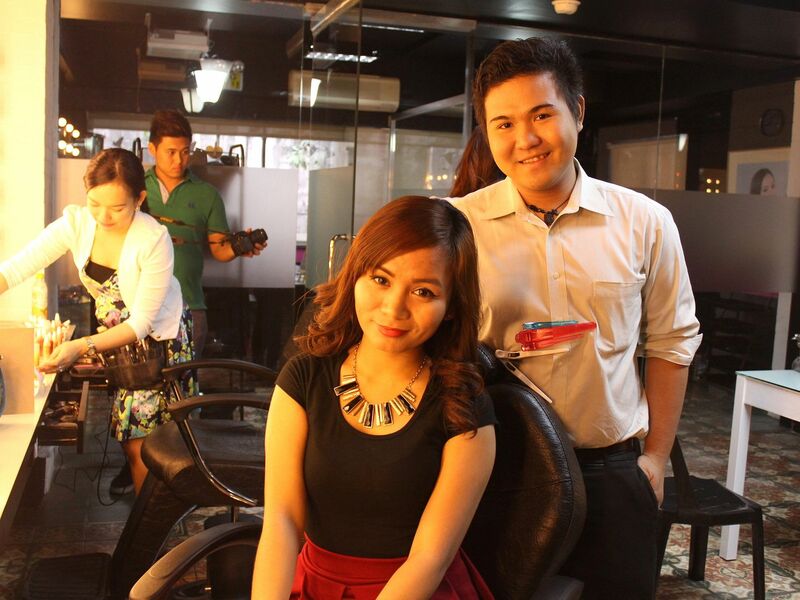 Since the make-up artist was still busy beautifying another blogger, I went ahead to get my hair done first. I really love curly hair! I wish I could wake up everyday with hair that looks so polished! 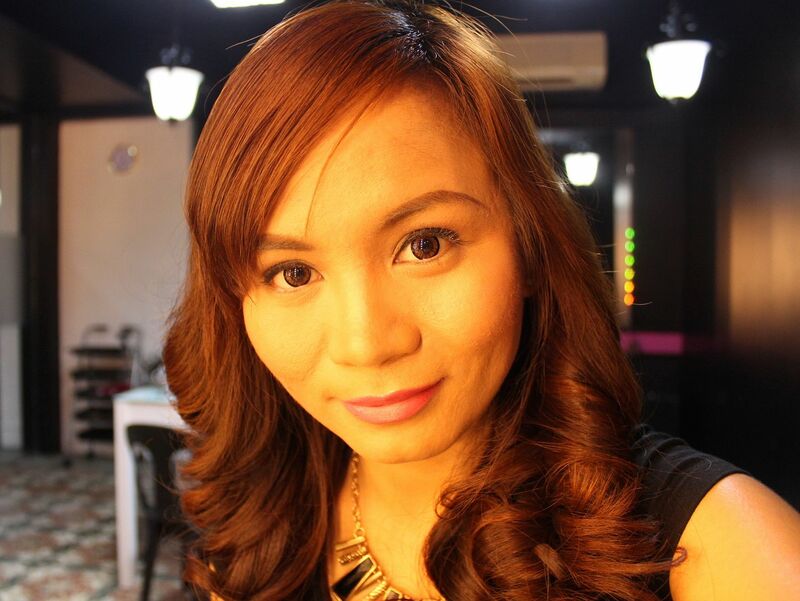 Thanks to Uzi, Glambox's Hairstylist, for my pretty curled locks! Hair, check! Now it's time for the make-up! Glambox's professional make-up artist, Ms. Bunny, doing my makeover. Tada! Finished with the makeover in just a few minutes. I chose the Spring look! I love my look! I noticed that while make-up do wonders on other girls, it's the opposite for me. I noticed that thick eye-shadow and overly done make-up make me look older. I love this kind of look. It's fresh and great for everyday look! 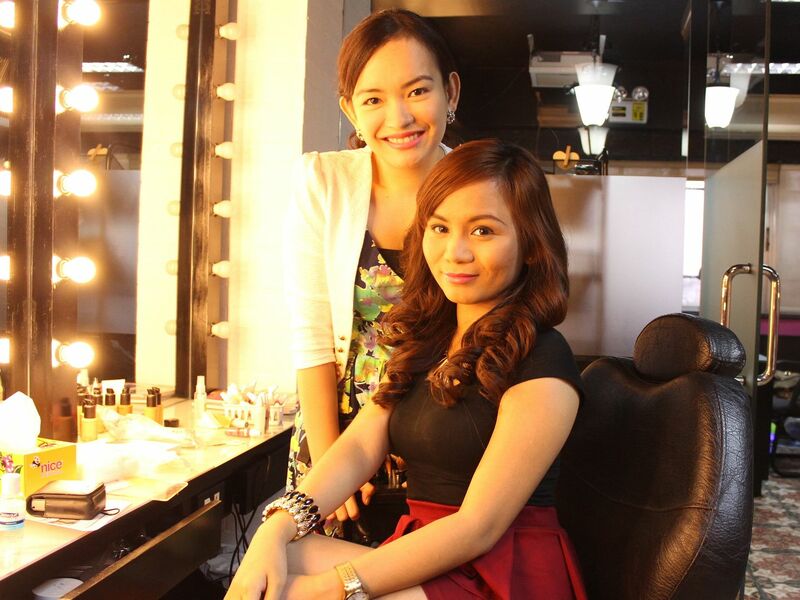 With Ms. Valerie, the kind and pretty Product Manager of Glambox Cosmetics. 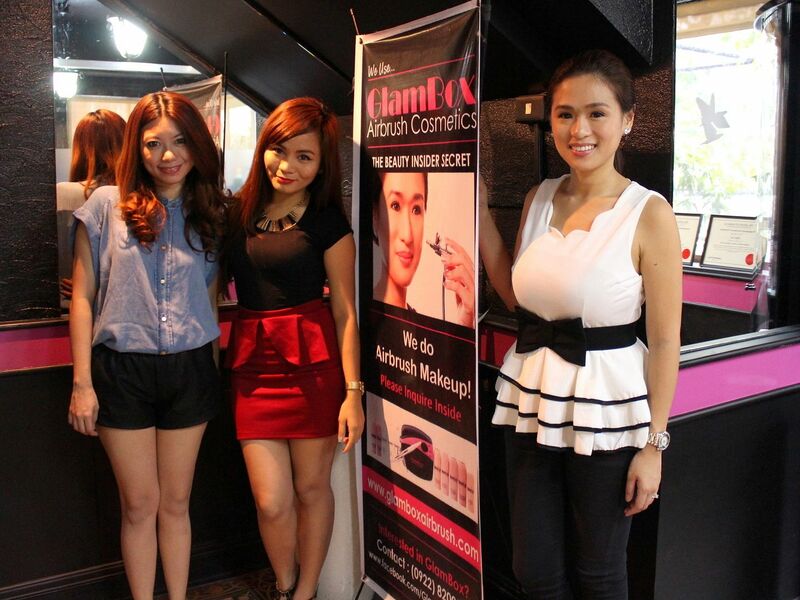 With the rest of the amazing people behind the Glambox Cosmetics. 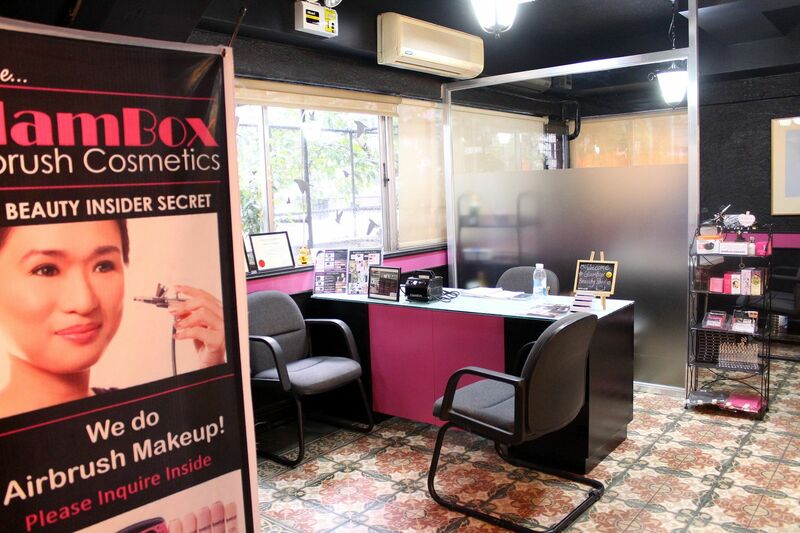 Don't forget to visit Glambox's Makeup studio in Makati! You'll surely love it there!  If you have any upcoming special events or you just want to take your make-up to the next level, then I suggest trying Glambox's airbrush make-up, too!